Crusty French Bread Recipe-no knead - Chocolate Chocolate and More! This bread is so fast and easy to make. 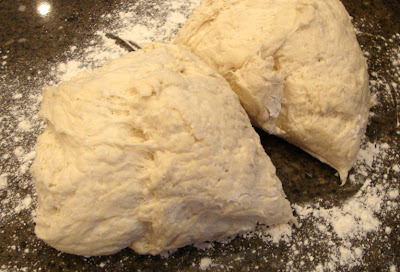 No kneading, a great starter bread for anyone wanting to get into homemade bread baking! I stumbled on this recipe while looking for a fast bread to use for Fondue. Hubby and I love fondue but haven’t had it in years. And we own 2 fondue pots. And 3 different fondue cookbooks. I really don’t know why it’s been so long. It’s not hard to make. 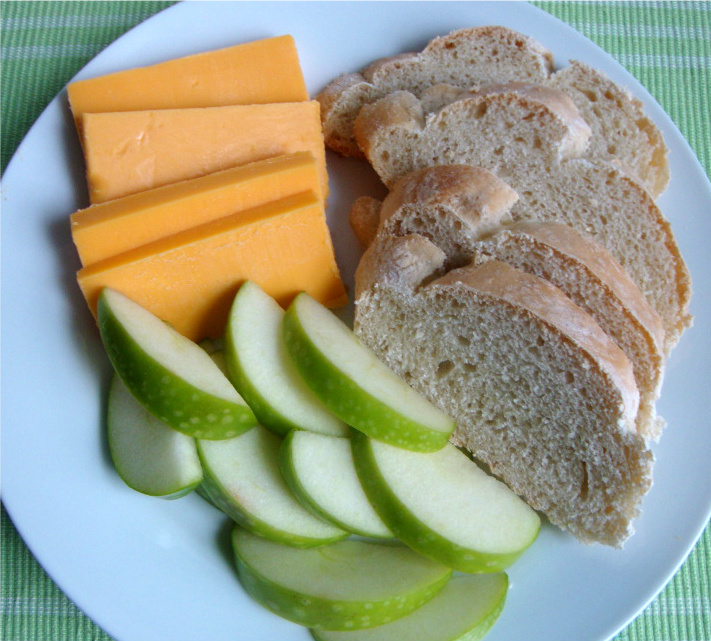 And all those fresh veggies, dipped in that warm, gooey, cheese, there’s nothing better. The kids are all old enough to dip for themselves, no double dipping allowed, so I can enjoy just feeding myself. Can’t wait to introduce them to chocolate fondue next! 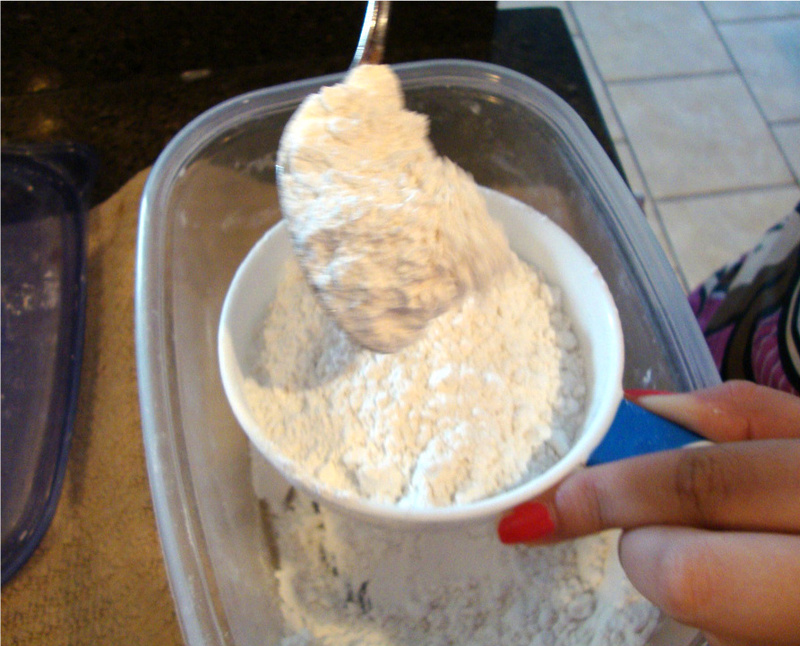 Combine yeast and 1/2 cup warm water in mixing bowl, stir till yeast is dissolved. Mix till blended, I used the paddle attachment on my mixer. Add salt and 2 more cups of flour, mix again till combined. 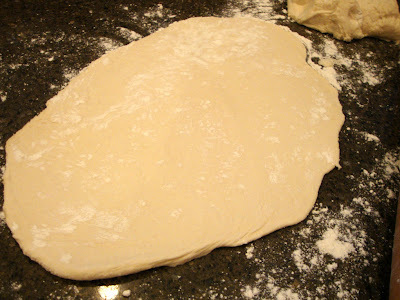 Add more flour till a soft dough ball forms. 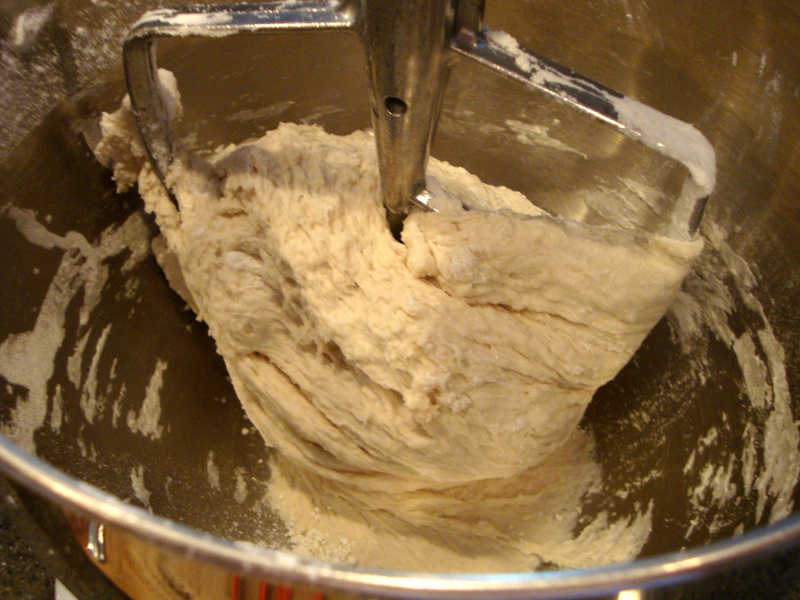 Remove paddle from mixer and cover bowl to rise for about an hour, until doubled in size. Remove dough from bowl onto floured surface and divide into two pieces. Roll each piece into a rectangle and roll from long side into a log. Tuck ends under and place seam side down on a greased tray dusted with corn meal. Cover loaves with dish cloth and let rise till doubled in size. Preheat oven to 400 degrees. 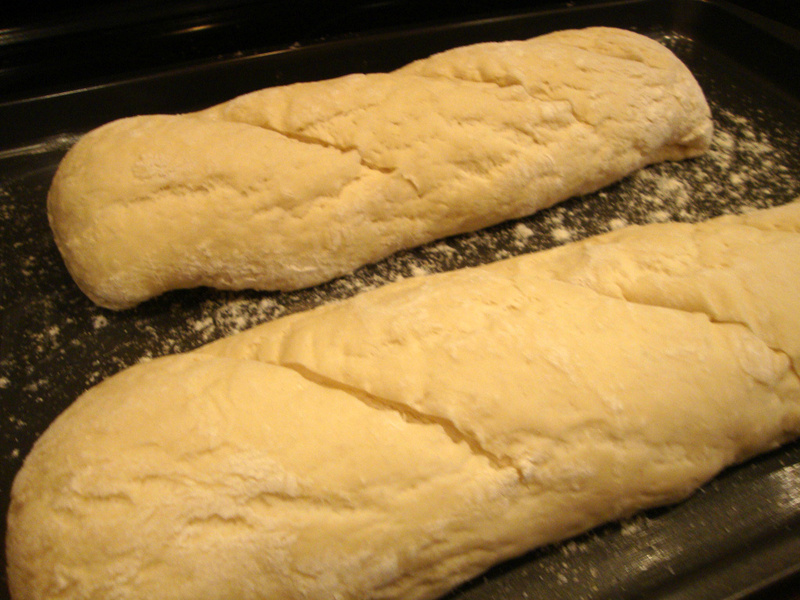 Place 2-3 slits in tops of loaves with a sharp knife. Bake for 20-30 minutes until golden and when thumped it sounds hollow. Remove to racks to cool completely or let rest for 10 minutes and serve warm. This bread was perfect for the fondue. We’ve also had it with spaghetti and it makes the perfect lunch. That loaf of bread looks delicious. 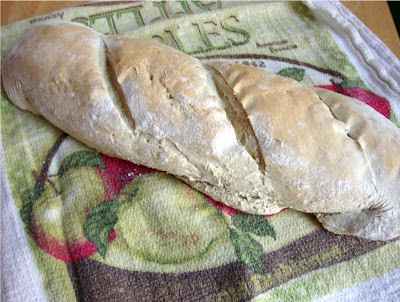 There is nothing like homemade bread fresh out of the oven. I would love to try this. Your first paragraph is about me. 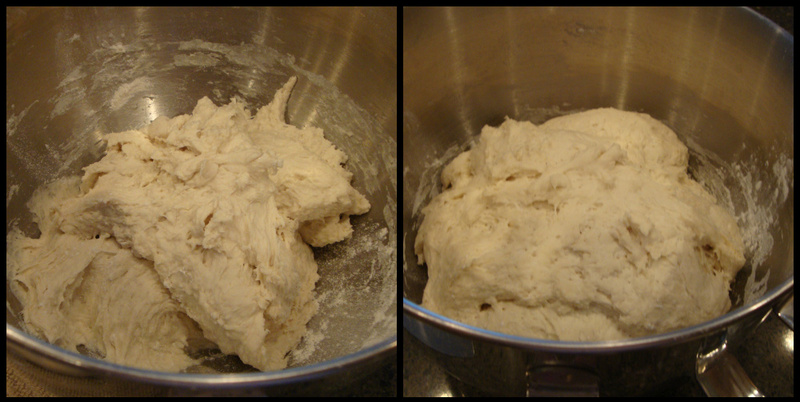 I used to have a fear of yeast, but recently mastered pizza dough. I think I will be ready to move on to bread sometime soon. This looks like a great starter recipe. Lesa, this is a good one to start with, I’ve made it 4 times now and it’s so user friendly. And the taste is wonderful! 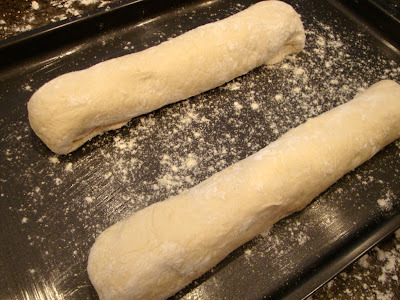 I definitely have to start making homemade bread! This looks really good! Thanks for sharing at Dwell on Friday! Your recipe looks very similar to the one I use. I found it at TOH. 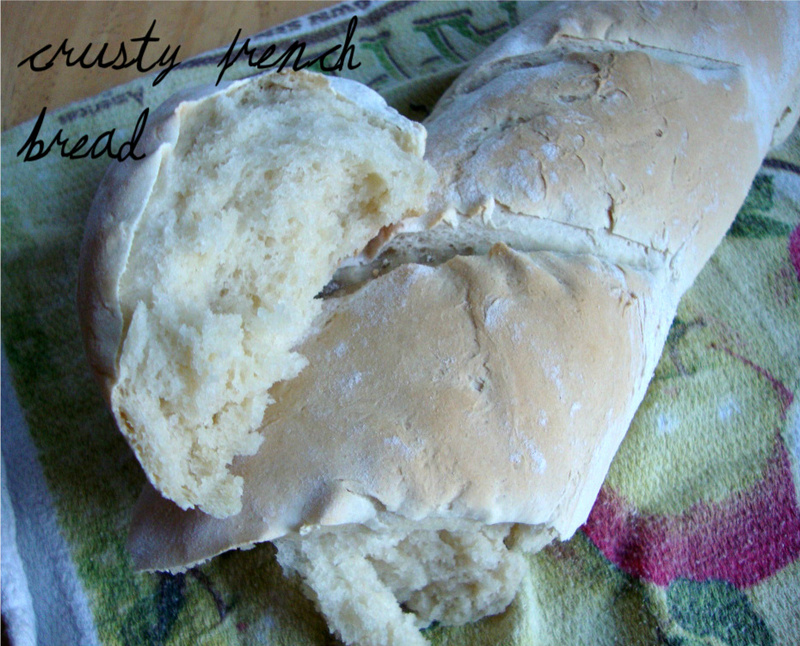 Must love crusty french bread that is easy to make! Andi, this recipe is definitely a keeper. 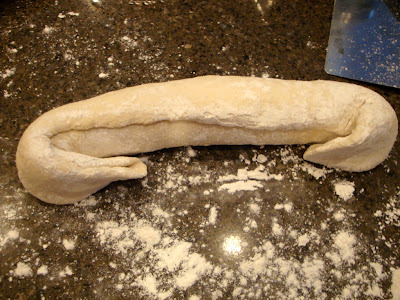 Yes, I want this bread! I’ll have to make it soon. Thank you so much for the recipe Sweets! <3 and hugs! Debi, this is an easy one, for sure! So glad! I hope you’ll post about it so I can see! also i would love to make a bunch and freeze it before baking. 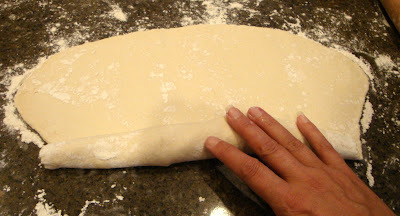 would you freeze it before letting it rise?